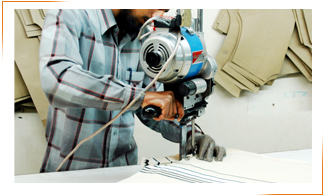 We have world class machinery & working tools to make Knitted Fabrics, Apparels and Home Furnishings. 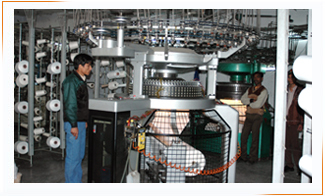 The complete process from knitting to garments manufacturing, except dyeing, is under one roof. We also have a specialized unit for printing & embroidery. With such machinery-trained staff & work force, creation has no bar with us. 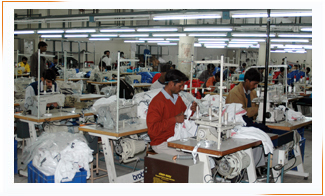 Above all, we use state of the quality raw materials produced by leading manufacturers in India & abroad. We have world class circular knitting machines to cater our customer's need for quality fabrics like Single Jersy, Double Jercy, Jacquard, Fleece, French Terry, Lycra Rib, Polar Fleece, Terry, Velour, Pique, Stripes etc. T Shirts, Sweat Shirts, Jogging Suits, Track Suits, Bermuda Suits & Leisure Wear. Bed Covers, Cushions & Cushion Covers, Pillows & Pillow Covers, Quilts or Comforters.